This Tampa FL home owner has a 14 year old dog that is having trouble making it outside to pee. Over the last several months the home owner has not been able to keep up with the pet accidents in her living room. She plans on replacing the carpet sometime down the road, but really wants the dog urine smell out of her home. Enter Chem-Dry of Tampa FL we offer a great dog urine removal service for carpet, upholstery, and grout. Our Pet Urine Removal Treatment, or PURT, is a complete urine removal package that removes 99.9% of urine from the contaminated areas in your home. 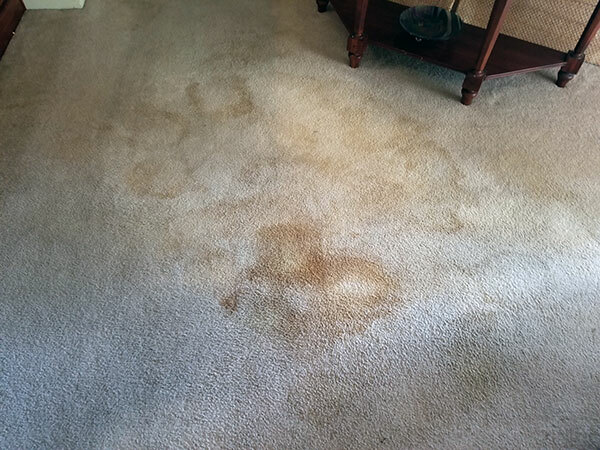 The above pictures show how even a badly stained carpet can be treated and have the urine removed. 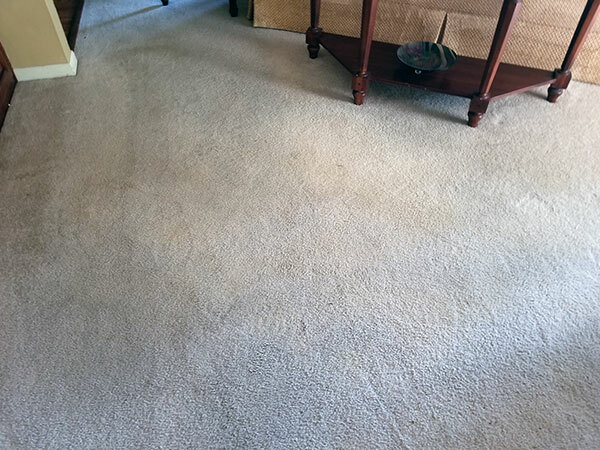 Not only do we remove the stains and odor we also sanitize the carpet to kill any urine associated bacteria. Dog urine is the perfect food source for bacteria and other germs. Sanitizing the carpet can remove 99.9% of urine related bacteria. There is no reason to put up with urine odors and unsightly stains in your home. Chem-Dry of Tampa FL has you covered. For dog urine removal in Tampa FL call Chem-Dry of Tampa.